Van the man was built with simplicity and open space in mind. 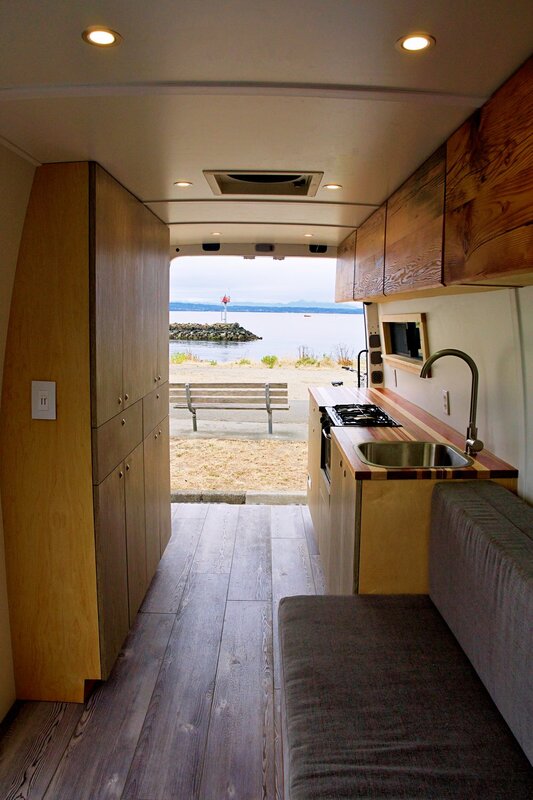 The unique feature on this 170WB Sprinter is the custom couch / bed. We put a lot of time in the design and engineering of this to make it simple to operate and strong enough to support the weight of two adults. It transforms into a queen-size bed in seconds. 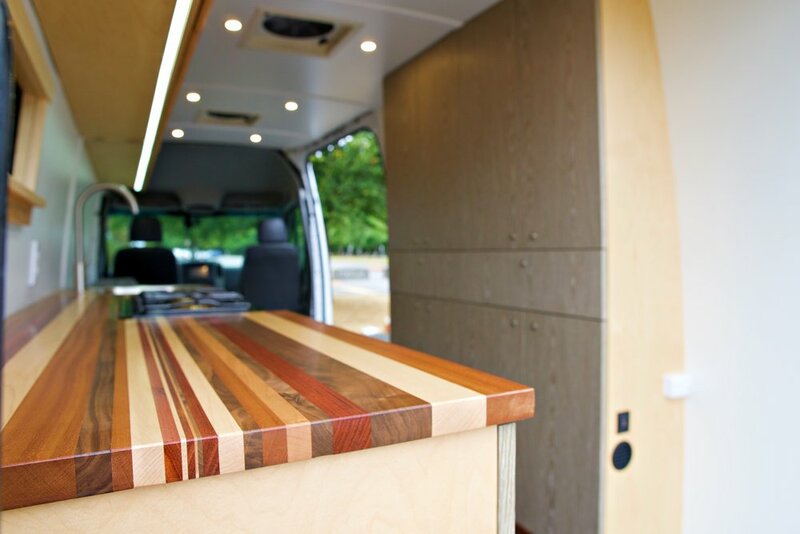 With reclaimed fir wood as a focal point of the design, this van is open to walk through from the front seats to the rear doors with ample storage- over 15 separate compartments. 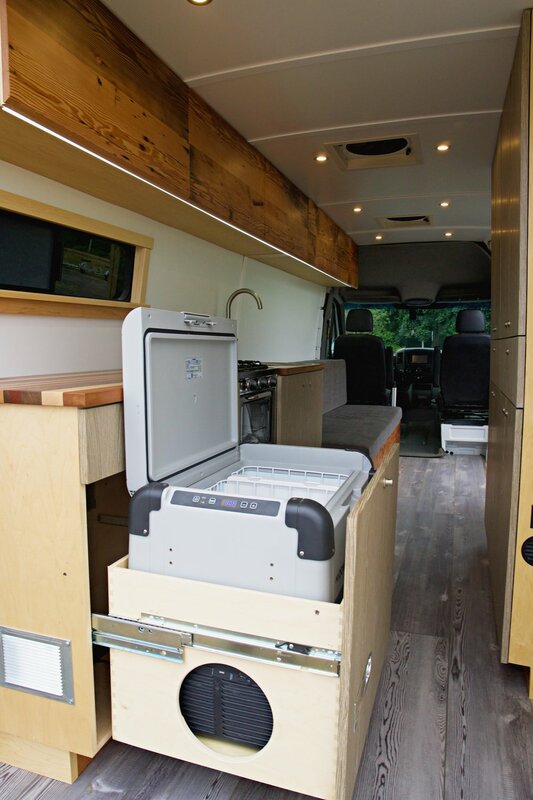 Van Morrison has an ample power system with 200AH/ 360W of battery storage/ solar panel wattage powering the refrigerator, lights, dual fans, 120V outlets and water pump.